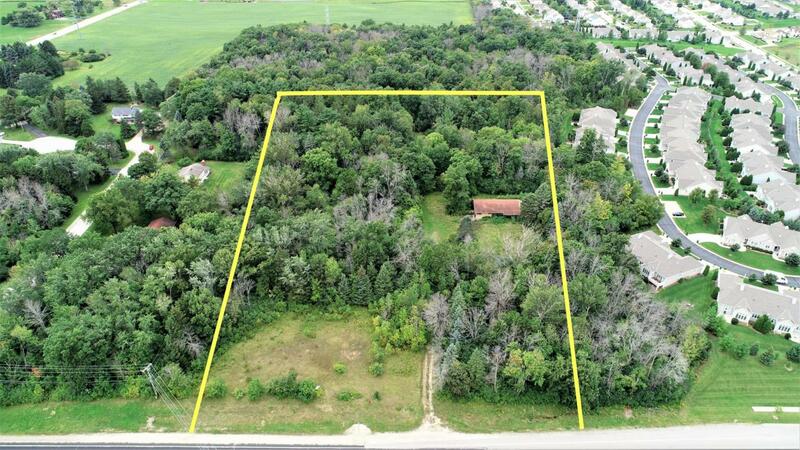 This wonderful 7.89 acres of wooded land is located currently in the Town of Grafton zoned R-3. The Village of Grafton will fully consider annexation of 7.89 Acres into the Village of Grafton with Future Land use map 1 and a land use of ''Office''. This property offers 435 ft. of frontage on Port Washington Rd. offering high traffic counts and water and sewer at lot line. This property is wooded and lends itself to many design opportunities see photo tour! !The potential Zoning ''Office'' (Full annexation to village of Grafton) offers about 5.25+- acres that could be used for the building and parking area and the balance would green space. Close to shopping and other retail near I 43. A must see opportunity!! Listing provided courtesy of Hollrith Realty, Inc.
© 2019 MetroMLS - All rights reserved. Information is supplied by seller and other third parties and has not been verified. IDX information is provided exclusively for consumers' personal, non-commercial use and may not be used for any purpose other than to identify prospective properties consumers may be interested in purchasing. Information is deemed reliable but is not guaranteed accurate by MetroMLS or RE/MAX Service First Service First Pros. Data last updated: 2019-04-20T23:52:20.927. RE/MAX Service First Service First Pros is Waukesha County's most innovative real estate team. © RE/MAX Service First, LLC. All Rights Reserved.